But how are things shaping up heading into the final stretch and how good are each sides chances of reaching their targets? bundesliga.com puts FC Ingolstadt 04 under the spotlight. The newly-promoted side can be more than satisfied with their efforts this season so far. Few would have reckoned with Die Schanzer being tenth in the table with seven Matchdays remaining and boasting a six-point cushion over the relegation play-off place.The basis for the impressive campaign being enjoyed by Ralph Hasenhüttl's men is undoubtedly their defensive rigidity. Only FC Bayern München (13), Borussia Dortmund (26) and Hertha Berlin (27) - the top three sides in the division - have conceded fewer goals than Ingolstadt's 31.Where Hasenhüttl's team can improve is in front of goal. 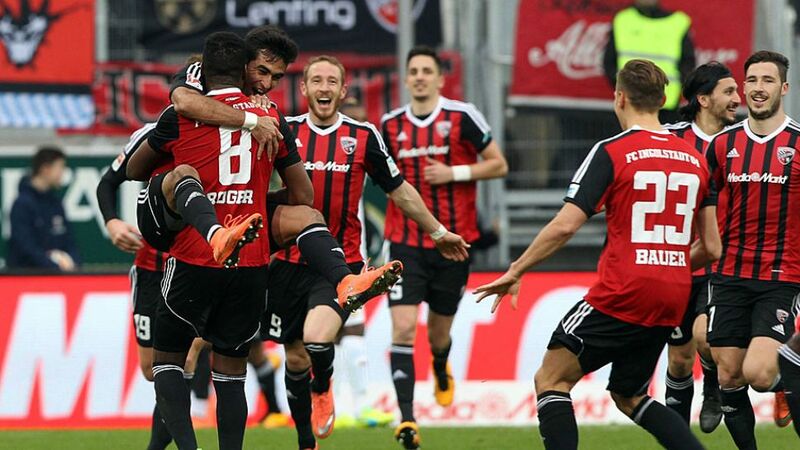 Only Hannover 96 (22) have managed fewer goals than Ingolstadt's 23 in 27 matches, although Die Schanzer have netted in each of their last six matches, including three against VfB Stuttgart on Matchday 26. In their debut season in the top flight, the club's ultimate goal obviously remains to stay in the Bundesliga. Nevertheless, if they continue their current form, survival may already be guaranteed before Matchday 34. The likes of 1. FC Köln (ninth) and VfL Wolfsburg (eighth) could also still be reined in in the final few weeks.That said, Ingolstadt's run-in is not the kindest, with matches against FC Schalke 04, Borussia Mönchengladbach, Bayern and Bayer 04 Leverkusen to come. With that in mind, Hasenhüttl's charges will likely need to target games against the likes of Hannover, TSG 1899 Hoffenheim and SV Darmstadt 98 for the points they need to be sure of survival.